Buy the Mastery Program Now! Click "Add to Cart" for other great bonus offers! NOTE: All packages sent out to you are shipped discreetly. All book orders are shipped via US Postal Service "Priority Mail" and come in a USP Priority mail box. All audio courses are shipped via UPS and come in a UPS ship box. The return address is "Mastery Technologies, Inc." No details of the package contents are on the package. NOTE: Be aware that all shipments come requiring a signature, so be sure to use a shipping address where someone can sign. We cannot deliver to PO Boxes! This site is brought to you by Mastery Technologies, Inc.
You can order the Mastery Program using our secure server, by Fax or by US Mail. By Fax: You can Fax your credit card number, expiration date, and mailing address to 1-253-390-9622 OR fax form will be printed for you by the shopping cart software. Simply chose "add to cart," put in your information, and chose "Fax" at the appropriate time. A fax form will be generated for you to print out and fax to us. Customer credit cards will be billed as Mastery Technologies, Inc. When you decide to purchase the Mastery Program, you will be taken through several pages. First you will see a shopping cart page, where you verify how many copies of the audio course you want. Next you will be taken to a page that asks for your name, address, and so on. Once again, we understand the sensitive nature of buying these CDs and we will never rent or sell your information to anybody. If you have any problems, please email us at davidc@howtosucceedwithwomen.com. You will then be taken to a page asking for your card number and expiration date. Remember, we only accept MasterCard, Visa, and American Express. After you submit your credit card number (remember to press the submit button only once) you will receive an email with your reciept. 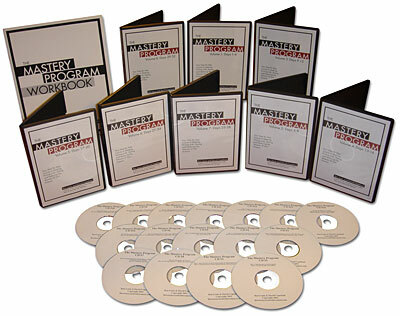 Order your copy of The Mastery Program from our secure server using your Visa, Mastercard or American Express Card. For customer service, contact service@howtosucceedwithwomen.com.